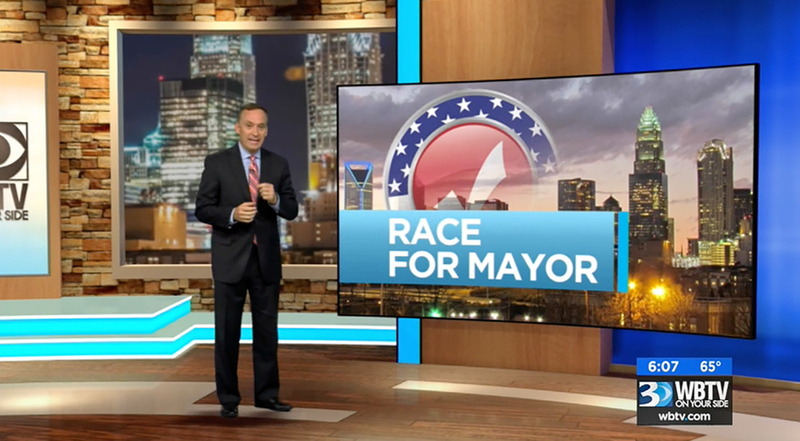 Charlotte’s WBTV-TV underwent a $500,000 overhaul last year, that helped the station regain the ratings lead and included something new for Raycom, virtual sets. “The first priority two years ago was to secure the best, most robust hard set that we could get. We wanted to push the visual nature of TV in the market to new levels,” said Dennis Milligan of WBTV-TV. The cutting edge hard set, from FX Design Group, brought a fresh new look that’s being credited with helping the station dominate the market’s ratings, but the station and its owners wanted to find out how virtual sets could work both in tandem and separately from a hard set to give them even more flexibility. 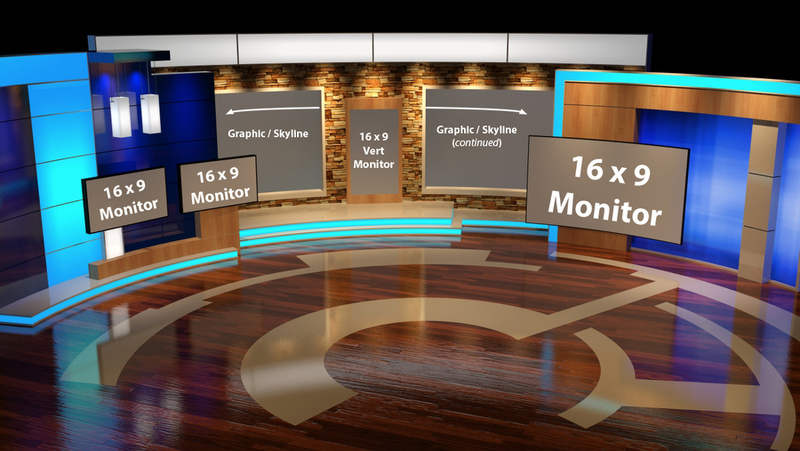 The hard set occupies WBTV-TV’s primary 50×60 foot studio and includes a 4×6 46″ monitor multi-screen array that serves as both the anchor desks main backdrop and as a standing presentation area. The virtual set is located in a connected 40×50 foot studio with a 24-foot long curved green screen — large enough for three people with cross shots. To make it all work, the Neon trackless virtual set system from Hybrid was combined with virtual set designs from FX Design Group that include multiple graphic and monitor areas. The end results of the transformation are documented in a case study from ChyronHego and FX Design Group, which can be downloaded here.